At the clinic we utilise a wide variety of health screenings from blood typing to , general blood analysis services , Live microscopic analysis, genetic testing to understand your health comprehensively. Most are done at the clinic with some tests needing out sourcing. The tests are utilised to get to the bottom of your health concerns . Call us at the clinic to discuss what tests are available to you and which is best suited to your health status . Your Blood Type is and important genetically determined parameter that differentiates us from one another. It is especially important as it helps us understand your health and your potential for dis-ease. Knowledge of your blood type enables us to develop a comprehensive ,effective and individualized health program. Here at Integrated Health we test your blood type routinely to help us build information about YOU! The test is involves only a few drops of blood and is simple and effective. Results are instantaneous and are determined in matter of seconds. Here at the clinic we utilise the very latest technology to enhance our understanding of your health . 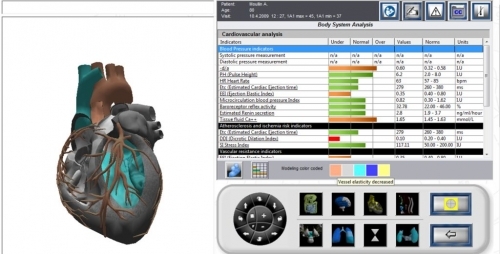 Our practitioners use an integrated 3D health screening tool and monitor . 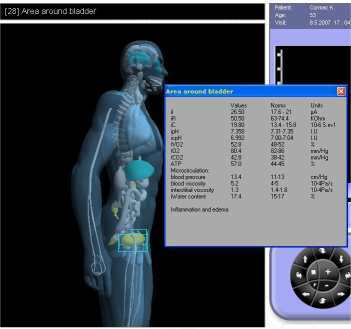 The device utilizes several technologies to screen and monitor changes in the human body. The ESTeck system is a combination of non invasive biosensors, with fast measurement (5 minutes) and results immediately available, to provide an overview of the homeostasis (internal environment and the main regulatory mechanisms of the human body) processes and responses. The ESTecks Systems greatest strength is its ability to accurately measure changes in you physiology from one assessment to the next. This allows the trained practitioner to closley monitor how the chosen treatment is working. Changes can be observed before symptoms alter. What this means to you the client is faster more effective results. Live Blood Analysis Sydney, Hemaview Analysis Sydney, Blood Testing Sydney .